Emotional intelligence (EQ) is a hot topic these days. It seems that everyone knows we need more of it. HR pros talk about the desire to increase this in existing employees as well as uncovering candidates already high in EQ. Managers echo this sentiment. Consultants and experts everywhere are extolling the virtues from the mountaintops. Yet so many times we get caught up in the job skills and IQ of candidates when hiring for a job and forget to truly evaluate EQ. Is EQ or IQ more important to success at work and in life? You might be surprised by the answer since it's a bit of a trick question. Our emotional intelligence helps us work with people in tough situations without flying off the handle or having a meltdown. Historically, people have primarily focused on improving their Intelligence Quotient in order to succeed at work. 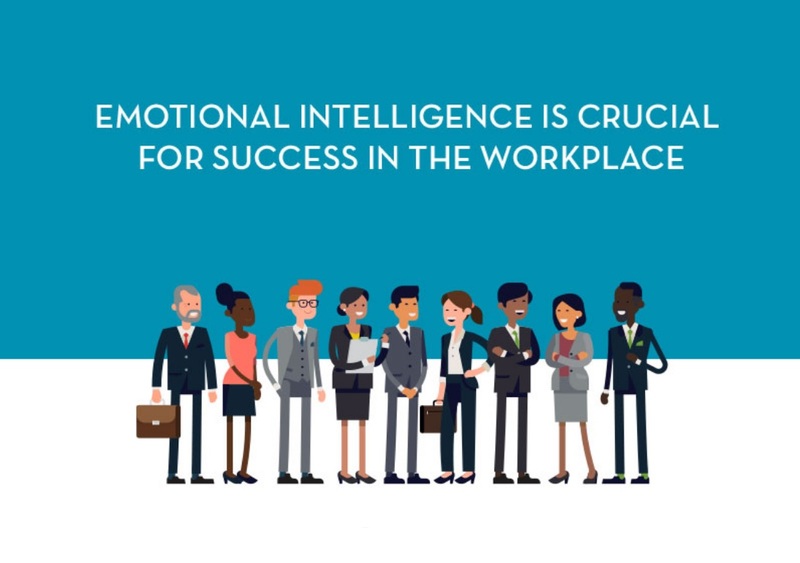 While both do play a role in our work and personal lives, Emotional Intelligence Quotient or EQ is rising to prominence as a key component of success in the workplace. And the benefits accrue to organizations and employees alike. Let's look at both of these benefit types. High EQ has even been shown to enhance company profitability, increase wages, reduce lost-time accidents, lower employee turnover, and improve job advancement. Who knew that an intangible like EQ could translate into a tangible benefit for employers? US Air Force recruiters increased their ability to predict successful hires by 300% when they screened for EQ. Taking this into account lowered their turnover rate substantially. One company reduced their first year employee turnover and cut financial losses by 92% simply by evaluating candidates for EQ. It's hard to ignore stats like these. Despite the need for rising EQ scores, IQ scores have increased 25 points in recent years, all while EQ scores have steadily declined. This is not the direction things should be heading and doesn't bode well for workers and companies alike. In terms of which countries are leading the pack in emotional intelligence, you might be surprised there too. The US and Canada don't even crack the top 5 which is surprising since those countries tend to lead North America in many areas of social progress. It's a clarion call demonstrating the importance of continual improvement needed in this area. So why is it worth it to improve our EQ? And does it have an ROI? These 7 Emotional Intelligence outcomes provide intangible benefits in various ways. Which ones do you want in your work life? If EQ scores need to increase and there are benefits galore, how should we go about improving those skills? Check out these six ways to improve your Emotional Intelligence and remember that practice makes perfect. EQ won't improve just because we know the right behaviors; we must work at strengthening them just like we do a muscle. We've all had experiences with leaders who are not in touch with their emotions and those of others sometimes leading to disastrous consequences. Interested in which leaders to emulate that have high emotional intelligence? Check out these six exemplary examples of Emotionally Intelligent leaders; most don't have a celebrity profile, choosing to eschew the limelight since they don't need to prop up their ego by asserting their intelligence. They are humble in their confidence. It's one of the things that makes them emotionally intelligent. For a more in-depth look at the topic of Emotional Intelligence, check out the infographic below 19 Key Facets Of Emotional Intelligence In Leadership and Workplace, which comes courtesy of InitiativeOne.